darkSpyro - Spyro and Skylanders Forum - Spyro: Enter the Dragonfly - I enjoyed this game. 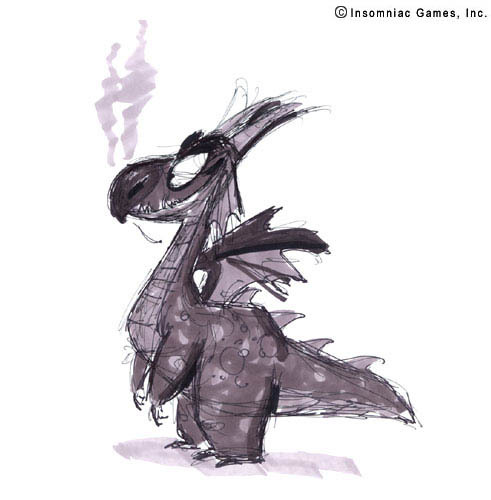 darkSpyro - Spyro and Skylanders Forum > Spyro: Enter the Dragonfly > I enjoyed this game. A lot. I loved the levels and the glitches were fun. Same, I honestly play this all the time. It truly is a decent game. I have the gamecube Player's Choice edition, so there really isn't that many bad bugs or glitches that ruin the gameplay. The sad thing is, it could have been so much more. There is a fan game remaking it in HD, but I can't muster that much hope after so many fan games get canceled. Yeah its pretty tragic that they do get cancelled, but I do believe I know what game you are talking about and it looks really good so far so I hope they keep it going. I have an account on Spyroforums and keep up to date with it and stay in contact with the developer. I wouldn't mind it but the framerate was inexcusable and the load times were pretty bad. Former ruined the game for me, can't stand framerate dips at all and notice subpar framerate fairly easily, this game stuggles to reach a decent framerate at all and drops hard and frequently. If you have a good gaming PC, I would recommend playing the game on the dolphin emulator. You can force the game to run at the maximun 60FPS, a solid boost. If CrystalFissure still gets on here, I think he is making texture packs for this game- at least one. But if I recall correctly, he said it was harder to make texture packs for this game than it is for the original trilogy. Anyways, the HD version will push the game to 60FPS all the time from the very begining, automatically reduce the loading times, and fix the bugs as well as creating new levels for the game. That or they'll get a C&D before they can say 'Enchanted Forest'. It's usually why people keep fan projects under wraps for a loong time, so there's at least a playable version should they never finish it. Eh, I can't really be bothered. I generally don't want to emulate games- never have before and I only want to do it for JoJo HD Ver and translated MOTHER 3, which are otherwise unavailable and the Skylanders games, once the NFC figures crap out and the games become unplayable. ETD isn't that important to me. And like Bifrost said, doubt the fan remake will go anywhere before it gets hit with a C&D. I sure hope it doesn't get C&D, but you two are probably right. and I understand where your coming from Drawdler, I don't emulate games, but I saw a youtube video of someone emulating Spyro: EtD at 60FPS and it looked impressive. eh, probably just me, tho. if you don't want to play EtD, I'm not going to fight about it. We all have our own opinions, and I respect yours. I actually think ETD is still alright graphically, at least for a 6th gen game, but it seems like that caused wayy too many performance issues. It was nothing compared to the original 3, but for what it was, it really gave me some fun times. It wasn't polished enough, but I have fond memories of the game, and I can still play it today and have a great time. Much agreed. I'm disappointed that this game was rushed.